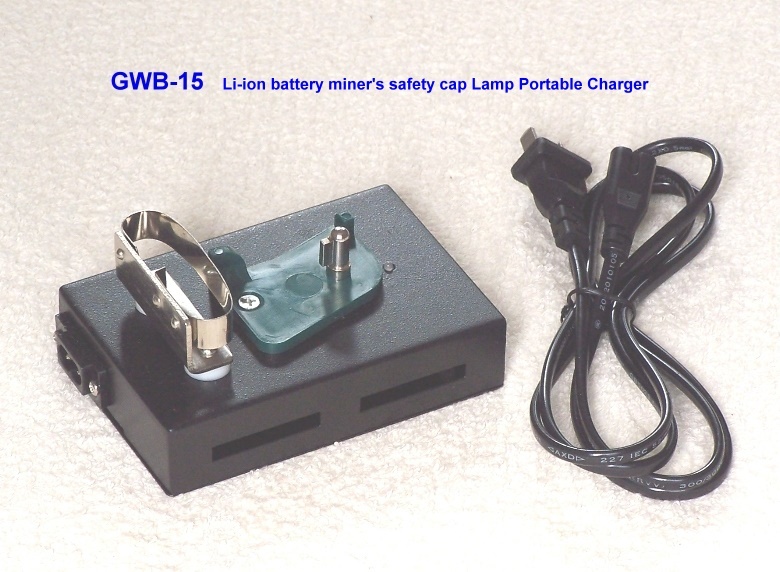 The NWB-15 (GWB-15) Portable Charger is a desk top charger specifically suited for the KLM5 LED Li-ion Cap Lamp. The charger provides the user with the ability to charge the cap lamp from a standard power outlet. It is small in size, light in weight, and convenient to carry. The newly designed NWB-15 (GWB-15) Portable Charger is more reliable than previous models and has a simple, sleek finish. The circuit board design has been optimized and improved to increase safety and reliability. The charger��s shell is made from high quality aluminum alloy. The NWB-15 (GWB-15) is CE Certified for European Union standards. 4. Place the cap lamp head into the plug of the charger; turn 180 degrees clockwise until the anode contacts with the charger��s cathode; the charger indicator light will turn red to indicate it is charging. The Lithium-ion battery makes use of both constant current and constant voltage charging methods. The charging current is 1500mA ��150mA; voltage is 4.30V ��0.05V with an approximate charging time of 6-12 hours. The circuit is designed with a steady state charging and control system which automatically regulates the charging process. The circuit we design is near the theory charging for Li-ion battery. 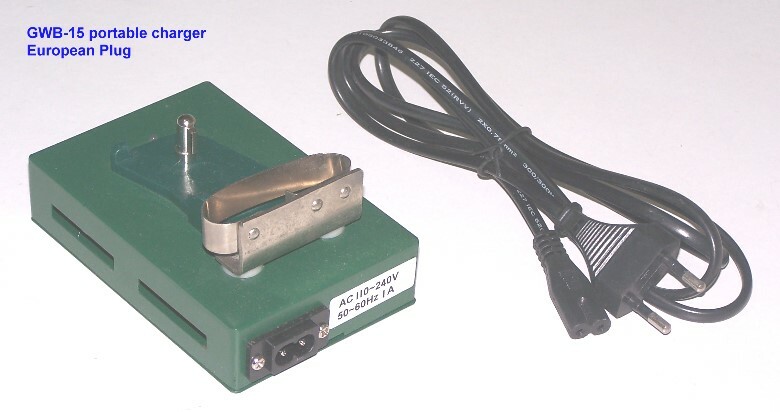 For a discharged battery a constant current charge is employed at 1500mA ��150mA (the charger indicator light is red). 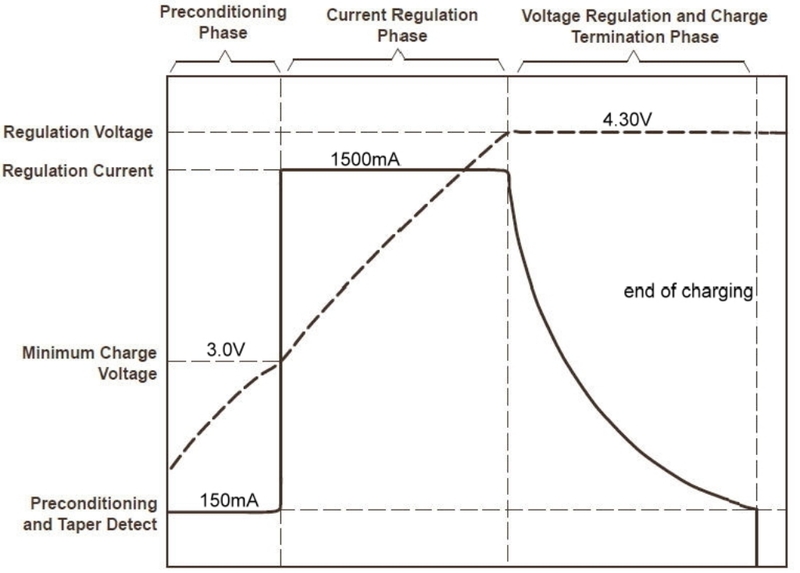 When the charging voltage reaches 4.30V, the battery switches to a constant voltage charge (at this point the battery is approximately 70% charged) and the current gradually decreases. When the battery is sufficiently charged it automatically cuts off the circuit to protect the battery from over charging (the charger indicator light is green). Note: It is not necessary to wait until the battery is completely discharged before charging. Charging can be undertaken whilst the battery is at any capacity and it actually prolongs the life span of the battery if charging is completed prior to complete discharge.